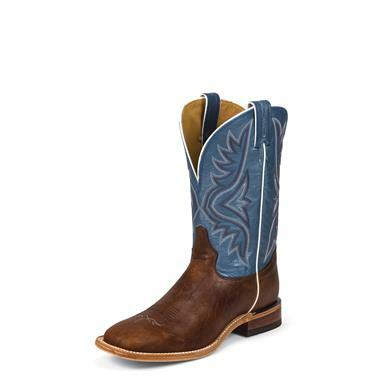 Tony Lama® Pecan Bison Americana Cowboy Boots. Top quality since 1911! American built for American cowboys! Authentic Western style has been a Tony Lama specialty since 1911, and these homegrown Pecan Bison Americana Cowboy Boots fit into that legacy like a rear-end in a custom saddle! Stylish Blue Cimarron tops, leather outsoles, and walking heels with spur ledges are guaranteed to turn heads and draw compliments down at the saloon. State Width and Size. Order yours today!